Looking for things to do on a Sunday in Düsseldorf? Whether you want to be inside or outside, we’ve got you covered. Grafenberger Wald is a beautiful forest with well maintained hiking trails, but what makes it truly unique is the fitness and parkour equipment along the trails. Not only can you hike the rolling terrain, but you’re also free to use everything from rowing machines and pull-up bars to stationary bikes along the route. It’s the perfect place to get fit in the fresh air. This area is also home to one of our favorite panoramic views of Düsseldorf: Schöne Aussicht. Check out our full guide to Grafenberger Wald for photos and more detailed info. Just around the corner from Grafenberger Wald you’ll find Wildpark Düsseldorf, which is home to free-roaming deer, and other native wildlife including a red fox and wildcats. A great spot for families to spend a Sunday. KIT – Kunst im Tunnel is a unique, underground exhibition space for contemporary art located inside… you guessed it – a tunnel. In fact, you’re likely to walk right over it if you don’t know where to look, as it’s located directly beneath the popular Rheinufer promenade. Insider Tip: Exhibitions are free every second Sunday of the month! After appreciating the latest exhibition, the KIT Café is a great spot to relax and watch the world go by. New: Decorate, Düsseldorf style with our brand new custom designed posters. EKŌ Haus is a center for Japanese culture, and it should definitely be on your list of things to do in Düsseldorf. From the perfectly manicured garden to the authentic Japanese house and temple it’s a top notch, one-of-a-kind experience. Kunsthalle & Kunstverein are a pair of museums which host various thought provoking art exhibitions throughout the year. Insider Tip: Exhibitions are free every second Sunday of the month! Both are easily accessible from the Altstadt, and they’re just across the street from K20 Kunstsammlung, another popular art museum that’s also open on Sundays. Classic Remise is the place to see vintage automobiles. Located inside a historic roundhouse for locomotives, its extensive collection and on-site restaurant makes it easy to spend a half-day taking in the sights. The Aquazoo Löbbecke Museum recently reopened after an extensive renovation. It’s home to an impressive 560 animal species, from exotic fish and African penguins to freshwater crocodiles. Fun fact: the Aquazoo’s 80 aquariums hold a combined 700.000 liters of water! Visit a City Museum – For Free! …Get more details in our guide: 23 free things to do in Düsseldorf! Travel back in time at Schloss Benrath, a beautiful palace surrounded by an amazing ca. 61 hectare park. Book a tour of the incredible interior, then plan some time to explore the gardens, reflecting pond and protected woodlands. You could easily stroll for hours here. After your walk, enjoy a coffee at the palace café. Feste Zons dates back to the middle ages, and its less than 30 minutes from Düsseldorf by car. Inside the village’s historic, fortified walls you’ll find charming storybook architecture, cosy restaurants, winding alleyways, and even a full sized windmill. Insider Tip: Go to the base of the windmill once inside the walls, look for a small kiosk and deposit a coin to give the giant wheel a spin! Tens of thousands of years ago, mammoths roamed the land on which Düsseldorf was later settled. During a recent excavation of the U-Bahn (subway/underground) a mammoth tusk was unearthed, and it’s since been put on display in a little known mini-museum known as ArcheoPoint. It’s thought that the tusk came from a mammoth that could have been up to 4 meters tall, and weighed in at ca. 3-4 tons. In addition, remnants of Düsseldorf’s historic fortress walls are on display here too. Looking for more things to do in Düsseldorf? We have some ideas for you! Check out what’s new in Düsseldorf for the latest openings, from restaurants and shops to experiences. 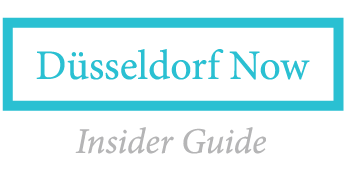 And if you’re searching for events, our guide to the Top Events & Festivals in Düsseldorf for 2019 might be just your thing.